Dear Friends, these are truly the "It" confection to take to your next holiday party. Seriously, you will be loved for it. 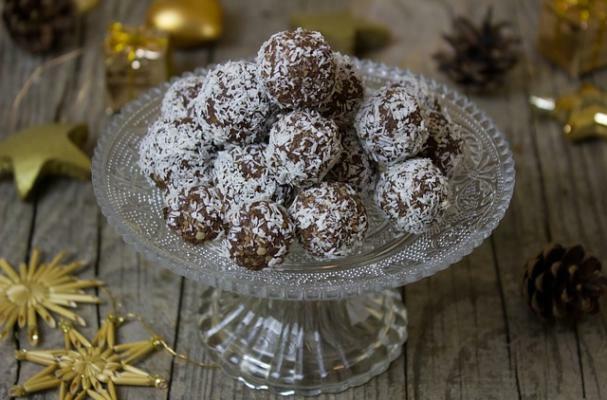 Rum balls (or bourbon, if you prefer) are so easy to make, why not double the batch? This recipe will take you less than 30 minutes to make, but they'll need about 2-3 days for the flavors to properly meld, so get started this week so they're ready by the weekend. They are thoroughly enjoyed by all, just keep them clear of the kids! Gently crush the vanilla wafers (while still in their unopened bag) with a rolling pin or a kitchen mallet until crumbly but not completely powdered. In a large bowl, combine the vanilla wafer crumbs, chopped nuts, 3/4 cup confectioners' sugar, and cocoa. Mix in rum and honey. Shape dough into 1-inch balls, then store in an airtight container for 2 days to allow the flavors to deepen. Roll in shredded coconut or confectioners’ sugar (or a combination of the two!) before serving.